Benzyl Bromide, Bromomethyl Benzene - Mody Chemi-Pharma Pvt. 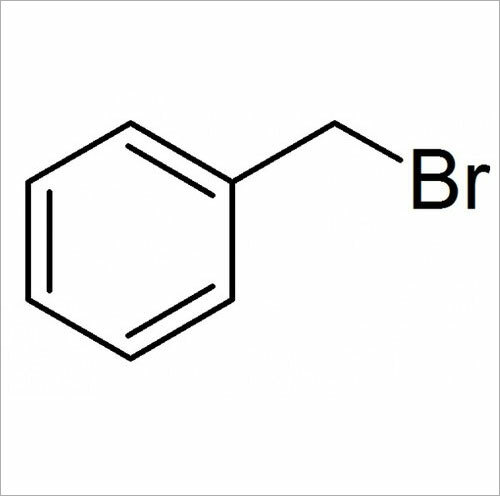 Ltd.
Benzyl Bromide is known as 100-39-0, Bromophenylmethane, 1-Bromotoluene, Cyclite, alpha-Bromotoluene, (Bromomethyl)benzene, Benzene, (bromomethyl) with Molecular Formula of C7H7Br and Molecular Weight of 171.03448. It is manufactured using reaction of benzyl alcohol and hydrobromic acid as well as action of bromine on toluene in UV light. It is available in form of clear, refractive liquid/colorless to yellow liquid and has sharp; pungent odor. Its properties include Boiling Point of 201°C, Melting Point of -3°C, Density/Specific Gravity of 1.7380 @ 25°C. Further, it has solubility in carbon tetrachloride, benzene and water (385 mg/liter @ 25°C).